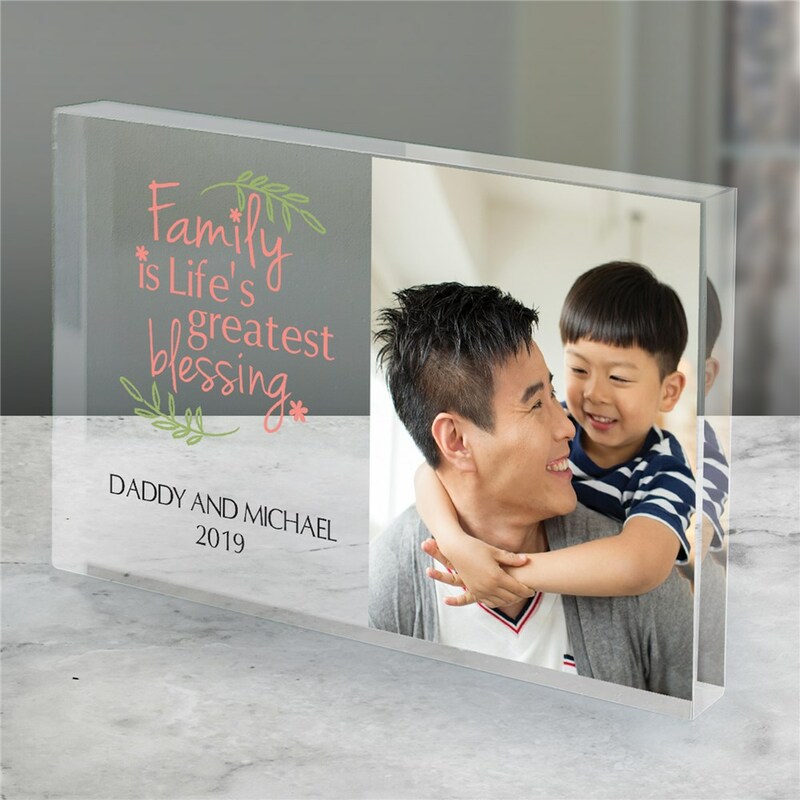 Personalized Family Is The Greatest Blessing Acrylic Keepsake is a beautiful way to show off your favorite people in the world! Our photo gifts will be personalized with any digital picture and any 2 custom message line. Makes a great accessory to your home decor or even in your office! So beautiful, can’t wait to give it to my granny for Christmas.